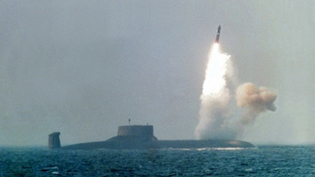 "The Russians are doubling their warhead output," said one official. "They will be exceeding the New START [arms treaty] levels because of MIRVing these new systems." 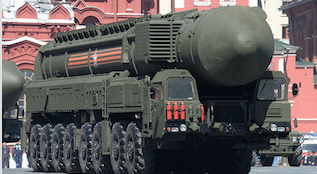 "Russia's modernization program and their nuclear deterrent force is of concern," Adm. Cecil Haney, commander of the U.S. Strategic Command, which is in charge of nuclear forces, told Congress March 10. "When you look at what they've been modernizing, it didn't just start," Haney said. "They've been doing this quite frankly for some time with a lot of crescendo of activity over the last decade and a half." "The one that has the greatest capability and poses the greatest threat to the United States is Russia because of its capabilities—its nuclear capability, its cyber capability, and clearly because of some of the things we have seen in its leadership behavior over the last couple of years," Dunford said. "The Treaty has no interim limits," Narendra told the Free Beacon. "We fully expect Russia to meet the New START treaty central limits in accordance with the stipulated timeline of February 2018. The treaty provides that by that date both sides must have no more than 700 deployed treaty-limited delivery vehicles and 1,550 deployed warheads." Both the United States and Russia continue to implement the treaty in "a business-like manner," he added. "If they could have claimed to have made any reductions under New START counting rules they would have done it there," Schneider said. "The administration public affairs talking points on New START reductions border on outright lies," Schneider said. "The only reductions that have been made since New START entry into force have been by the United States," he said. 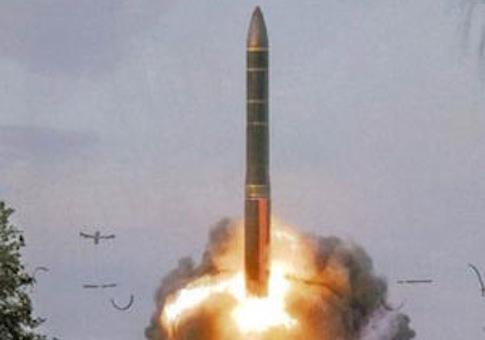 "Instead, Russia has moved from below the New START limits to above the New START limits in deployed warheads and deployed delivery vehicles." Former Defense Secretary William Perry said Thursday that New START was "very helpful" in promoting strategic stability but that recent trends in nuclear weapons are "very, very bad." "When President Obama made his speech in Prague, I thought we were really set for major progress in this field [disarmament]," Perry said in remarks at the Atlantic Council. However, Russian "hostility" to the United States ended the progress. "Everything came to a grinding halt and we’re moving in reverse," Perry said. Perry urged further engagement with Russia on nuclear weapons. "We do have a common interest in preventing a nuclear catastrophe," he said. However, he said his advocacy of the policy "may be pursuing a mission impossible." "I highly doubt the Russians would follow suit" by eliminating their land-based missiles, the former secretary said. "Can they comply with New START? Yes. They can download their missile warheads and do a small number to delivery systems reductions," Schneider said. "Will they? I doubt it. If they don’t start to do something very soon they are likely to pull the plug on the treaty. I don’t see them uploading the way they have, only to download in the next two years." "This summit is particularly important for the USA and for Obama—this is probably why Moscow has decided to go for this gesture and show its outrage with the West's policy in this manner," Alexei Arbatov, director of the Center for International Security at the Russian Academy of Sciences, told the business newspaper Vedomosti. "There is no need for it, to be honest," he said, adding that nuclear security talks should be the work of nuclear physicists, intelligence services, and engineers. "The political agenda of the summits has long been exhausted," Ulyanov said.